Fasteners are universal components used to create temporary or nonpermanent joints. We use fasteners on a regular basis, from everyday household appliances to hi-tech machinery and gizmos used in industries. Domestic uses of fasteners include basic applications from holding tables and chairs together, to holding parts of our cars and vehicles together. Almost everything we use or interact with is being held together by some sort of fastener. Fasteners are commonly associated to threaded or non-permanent fasteners in general, but, in fact, are of two types; general fasteners and threaded fasteners. Fastener manufacturers provide extensive variety of minute latches, which are for the most part utilized for the sheltered and secure connection of any business and private machines. With the vast developing mechanical requirements, fastener manufacturers have thought of advancements in attaching innovation. They have structured latches a lot lighter and littler which are perfect for the requesting electrical and hardware industry. They help to hold the segments protected and secure. To hold together many layers of extremely thin metal sheets tiny fasteners are manufactured which provides permanent solution for strong latch. Threaded fasteners are removable or non-permanent fasteners, which are used to hold objects together and can be removed or disconnected whenever necessary. 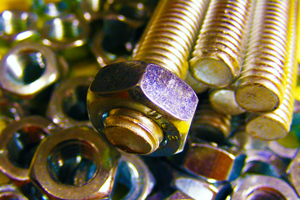 All threaded fasteners can be categorized into three types, namely bolts, screws, and studs. A bolt has a head on one end and is threaded at the other, and is paired with a nut to hold components together. Screws are a bit similar to bolts, used to join two mating parts together. However, screws generally have longer threads than bolts and are manufactured with slotted heads. The slotted heads allow for the use of screwdrivers to insert and remove screws easily. A stud is a double-end threaded rod used to join two mating parts. A nut is usually used on the protruding end to hold the stud firmly. A few examples of threaded fasteners are machine screws, wood screws, eye bolts, carriage bolts, lag screws, sheet metal screws, elevator bolts, U-bolts, and hex bolts. Non-threaded fasteners or general fasteners are semi-permanent or permanent joining components. These include rivets, pins, keys, clamps, O-rings, E-clips, retaining rings, moulding fasteners, etc., and are often associated with shafts. Rivets are considered permanent fasteners, as removing a rivet usually causes damage to the components being held together, and to the rivet itself. 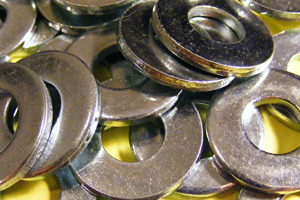 Fasteners have many applications, from domestic and household product production to industrial uses. Their industrial applications include the usage of three major types of fasteners- stainless steel fasteners, carbon steel fasteners and alloy steel fasteners. Various factors are considered in choosing the right type of industrial fastener, like accessibility, materials to be joined, weight restrictions and reusability. Most manufacturers of fasteners in the UAE offer a range of variations to choose from, for special and general applications. These variations include base material- generally titanium, aluminium, carbon, and other alloys, and special coating or plating to improve their characteristics, such as chrome, zinc, and hot-dip galvanizing. 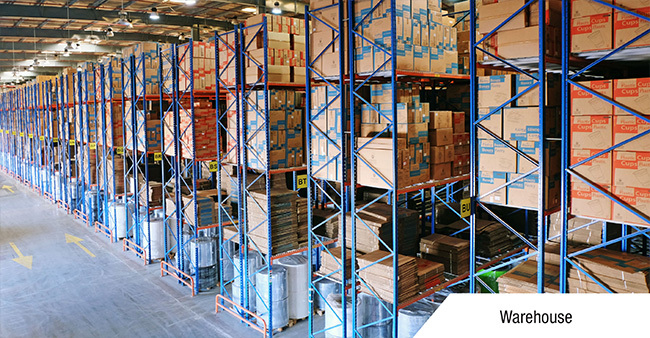 Market restrictions and quality standard requirements for hardware like fasteners in the UAE ensures the restriction of low-quality fasteners from entering the market. 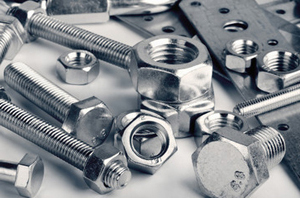 A fastener manufacturers, importers, stockists and suppliers of industrial grade fasteners in the UAE are located on Nakheel Road and Yusuf Baqer Road in Dubai, Airport Road in Ras Al Khaimah, and the Sharjah Industrial Area.